We’d love your help. Let us know what’s wrong with this preview of An Amish Miracle by Beth Wiseman. Becky Byler is eighteen and overweight. She is overwhelmed by the embarrassment she feels when comparing herself to other girls her age. Having lost all hope, she considers taking her own life. As she stands before rushing water, unable to swim, Becky begs God for a miracle. In just several months, Becky sees her prayers answered as food and temptation lose their hold over her. She's finally pleased with how she looks, but does she like the person she has become? And has the man she has dreamed of been right beside her all along, loving her exactly as she is? Widow Rosa Hostetler has one month to pay her delinquent taxes before the county auctions her farm. She's prepared to sell whatever is necessary to pay the lien, but she isn't willing to request money from the community's widow fund. She's embarrassed and refuses to admit she needs help. Rosa depends on income from selling eggs, but when that income is threatened, only a miracle can help Rosa accept the kindness of a neighbor. To ask other readers questions about An Amish Miracle, please sign up. Which of the three should be read first? Beautiful, Providence or Heart? Three short Amish Miracle stories that intertwine. The first story is by Mary Ellis and is about Hope. Hope has been keeping a secret from everyone for almost 16 years, she decides it time to share that secret and this that story. I have a hard time believing that it could happen that way but but this was a fiction story. The second story by Ruth Reid is about a widow, who again has a secret but once she unloads her burden things change. (this was my least favorite of the three). The third story written by Beth Wiseman is about Becky Byler (we meet Becky in the first story), who is overweight but has a beautiful face. This is Becky's story - she asks God for a miracle (well...) and he provides but it doesn't turn out the way she wants it too - isn't that the truth for a lot of us when we decide we know what God is doing before he shows us what he is doing? One of the things I liked it there wasn't too many extra characters brought in just for fluff purpose although I am still trying to understand the whole Lena thing, unless we will have a book about her in the future. I never wanted this book to end. I wanted to stay right here and keep absorbing their lives. There are three separate stories here, and each blends into the next author's story. We begin with Always in My Heart by Mary Ellis. A story of tragedy brought full circle. Book Blurb: Hope Bowman believes God is punishing her for giving up her firstborn son when she was a teenager. She’s hidden this secret from her husband, who is thankful for their daughters but longs for a son. Hope prays desperately, I never wanted this book to end. I wanted to stay right here and keep absorbing their lives. There are three separate stories here, and each blends into the next author's story. We begin with Always in My Heart by Mary Ellis. A story of tragedy brought full circle. Book Blurb: Hope Bowman believes God is punishing her for giving up her firstborn son when she was a teenager. She’s hidden this secret from her husband, who is thankful for their daughters but longs for a son. Hope prays desperately, but the son God sends her isn’t a new baby but the fifteen-year-old boy she gave up years ago. I can just imagine how Hope felt, the missing piece of her life. Will she ever be able to tell her husband?? Will she be able to forgive her Dad? Strong feelings of emotion on all of the people in this story. The next story is Always His Providence by Ruth Reid and the blurb about this book: Widow Rosa Hostetler has one month to pay her delinquent taxes before the county auctions her farm. She’s prepared to sell whatever is necessary to pay the lien, but she isn’t willing to request money from the community’s widow fund. She’s embarrassed and refuses to admit she needs help. Rosa depends on income from selling eggs, but when that income is threatened, only a miracle can help Rosa accept the kindness of a neighbor. We find Rosa is such a proud woman, and she is still protecting the reputation of her late husband, and she is doing this to the point of possibly loosing her farm. There are so many surprises and lots of action in this read. There is even a bit of romance. Again we are with people who we met in the first book, and continue with their story. The third and last story is Always Beautiful by Beth Wiseman: Becky Byler is eighteen and overweight. She is overwhelmed by the embarrassment she feels when comparing herself to other girls her age. Having lost all hope, she considers taking her own life. As she stands before rushing water, unable to swim, Becky begs God for a miracle. In just several months, Becky sees her prayers answered as food and temptation lose their hold over her. She’s finally pleased with how she looks, but does she like the person she has become? And has the man she has dreamed of been right beside her all along, loving her exactly as she is? We met Becky in the first story, and now we are going to focus on her. A novelette of not seeing really what is in front of you. Having your prayers answered by God, but not really seeing his answer, because one is focused on what we want. These are really get reads all by them selves, but especially great as they are a continuation into the lives of these beloved people, that will feel like family, by the time you finish! AN AMISH MIRACLE is a collection of romantic novellas set in Pennsylvania’s Amish country. Three Amish women are going through difficulties, each of a different sort. Ms. Ellis’ story has Hope who is still mourning the loss of her son to adoption. Ms. Reid’s story has Rosa who is facing losing her home due to delinquent taxes, and she’s unwilling to accept help from others. In Ms. Wiseman’s tale, Becky is an outsider in her community due to her weight issues. This collection by three very talented Amish authors is different that while the stories all have Christmas themes, they are not toted at Christmas stories. That is secondary. Also, the hardships the characters face are all overwhelming I felt the characters’ depression—which is a sign of good writing. 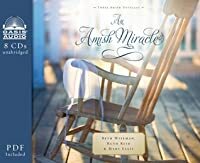 If you are looking for an Amish novella collection for yourself or a loved one or friend then AN AMISH MIRACLE is a book to consider. Three stories in one book. And if you like this book, you’ll want to check out Mary Ellis’, Ruth Reid’s, and Beth Wiseman’s other books. Includes Reading Group Guide and Old-Order Amish Recipes. 15.99. 384 pages. The BEST novella that I have ever read!! There are three very good stories by different authors in this book. All three have some of the same characters though the main ones are different. It was interesting to see how the authors did this. Each of these stories was totally satisfying. We witnessed “ human error,” and reconciliation (through a miracle.). I enjoyed each journey and wished there were more to read as I concluded each. Kudos to authors! I really enjoyed these three stories that were interconnected about members of the same Amish community but each with their own story to tell! I was blessed with an Advance Reader Copy to read and review this book. I am so glad I was chosen! Hope Bowman has a secret that she has carried for a long time. A secret she has kept from her husband, Stephen, even after being married several years, with 3 children, and one on the way. Even though the secret she held was not ultimately her fault, the guilt she carried over it affected her. Guilt can drag us down, make us feel unworthy, and affect the relationshi I was blessed with an Advance Reader Copy to read and review this book. I am so glad I was chosen! Hope Bowman has a secret that she has carried for a long time. A secret she has kept from her husband, Stephen, even after being married several years, with 3 children, and one on the way. Even though the secret she held was not ultimately her fault, the guilt she carried over it affected her. Guilt can drag us down, make us feel unworthy, and affect the relationships we have with others if it is not dealt with. I think many of us know what Hope was going through. The secret she held was a son she gave birth to. A son, whom many years later, decides to show up on Hope’s doorstep. Hope had some reservations of what her father would say if he knew James had sought her out. She also didn’t know how the leaders in the community would deal with it. But she wanted to learn about and get to know this boy that was, ultimately, hers. For many years, Hope had prayed for a son for Stephen. Her 3 children were girls, and as she gives birth to the 4th in this story, that baby too, is a girl. Stephen worked so hard on their farm. She prayed for a son to grow up like his father and work with him on the farm. Little did she know, God had a son in mind, it just wasn’t what either of them expected. Miracles sometime happen in the least expected way. This story is full of hope, forgiveness and reconciliation. Rosa Hosteler lost her husband in a barn fire. A fire that burned parts of Adam Bontrager’s body. Rosa’s husband went into the barn to save his best friend, Adam, but was killed, while Adam lived. Adam has always felt responsible for Rosa. They lived right next door to each other, and Adam used Rosa’s barn to house his horses that he trained. It was Adam’s barn that burned down. Adam felt it was his responsibility to look out for Rosa, now that she was a widow. He took that role seriously, even to the point of losing out on relationships that he has had with other women. Rosa found out after her husband’s death, that he was delinquent on the property taxes. The only income Rosa had was what she made selling eggs to local Amish families and even some English. Rosa prayed to God to help her get what she needed to make that amount by the due date. She was doing everything in her power to figure it out. The chickens that produced those eggs, for her only income, started coming up dead. A neighbor on the other side had many dogs and she knew it was one of them killing her chickens. As more and more chickens come up dead, and eventually stop producing eggs all together, Rosa knew she would have no choice by to let the property go and move to Ohio with family. Adam feels more for Rosa than just being her guardian and looking after her. How can he make her realize that he loves her and wants to help her get the money she needs to save the farm? Miracles sometime, if not most of the time, do not show up on our timetable. I know we want them to, but that is not the way God works. God wants us to have faith and believe in Him. He will come through. This story is full of love, acceptance and definitely a miracle. Becky Byler is overweight. How many of us can relate to that, and the feelings of insecurity that come along with it? Becky was tired of hearing people talk behind her back about how big she had become. She was withdrawn, lonely, and desperately wanting to lose weight. Her insecurity was so bad, Becky had thought about taking her own life. Her best friend, Elam, loved her just the way she was. Becky was a great cook, she loved children, and would make a wonderful wife to someone. But Becky felt her outward appearance would stop her from living a wonderful married life. Who would want her looking like that? “You are so pretty in the face”, is what she would hear people say. She was just tired of it. Becky finally decides she has to do what she has to, to lose weight. She prayed that God would make her skinny. She knew God was going to give her the miracle she wanted, but she also needed to put forth an effort. Becky lost quite a bit of weight, everyone was noticing and complimenting her success. She got the attention of Matt King, someone she had a crush on since she was a girl. At first she felt like Matt was only asking her out because she had lost weight, but Matt kept telling her he didn’t care that she was big before. As she grows closer to Matt, she is more and more distant from her best friend, Elam. Elam tries to tell her that he loves her, and wants to marry her, but Becky doesn’t think she feels that way about him. Her focus was on Matt. As the story unfolds, Becky learns some things about herself along the way. Things that change her relationship with Matt and Elam. The miracle she so desperately begs God for in the beginning, was right in front of her the whole time. This story is filled with self-acceptance, God’s grace and yes, a miracle! Hope Bowman believes God is punishing her for giving up her firstborn son when she was a teenager. She has hidden this secret from her husband, who is thankful for their daughters but longs for a son. Hope prays desperately, but the son God sends her isn't a new baby but the fifteen-year-old boy she gave up years ago. Ruth Reid is a CBA and ECPA best-selling author of the Heaven on Earth series. She's a full-time pharmacist who resides in Florida with her husband and three children. Mary Ellis grew up close to the eastern Ohio Amish community, Geauga County. Before “retiring” to write full-time, Mary taught middle school and worked as a sales rep for Hershey Chocolate. Mary is a CBA and ECPA best-selling author as well as an ACFW Carol Award finalist and runner-up for the 2010 Holt Medallion Award. Hope Bowman was asked as a young girl to do the unthinkable, to give up her newborn son for adoption. Not because he was an unwanted child but because her father didn't want to suffer any shame behind it. So for years she harbored this very sad secret so much so that she felt that God punished. She felt he punished her because she had given birth four times and every time the baby would turn out to be a girl. She and her husband wanted a little boy but every time proved to be in vain, because she would give birth to a girl instead. She had sent up dozens of prayers for a son, read along and see how God answered her prayers. Ruth somehow has always managed to keep her household running smoothly by selling her eggs. But now unless God steps in suddenly she will lose her home due to her taxes that have yet to be paid. She has refused her neighbor's help up to this point. Read along and see how God uses this in Ruth's life to glorify Him. Poor Becky Byler is an older teenage girl with a weight problem. Many people say that they don't understand why because she eats rabbit food alot (aka vegetables). In this novella she has chosen to take her life because she doesn't feel worthy for the life God has given her. Love will come to her but in the most unexpected way. Will she realize it before its too late? Each of the stories in the book were very touching and heartfelt and even though these are stories about Amish women, I believe we can all relate to their circumstances. Many times the path God has chosen for us differs a great deal from the one we would of chosen for ourselves and this book is a perfect example of that. All three stories are intertwined, the main characters actually know each other. That is something I liked about the book, it makes it alot more interesting that way. I love working with Book Look Bloggers to get books from my favourite authors to review! YAY for being able to claim reading as "work". So my latest read from Book Look Bloggers is called An Amish Miracle. It is actually a collection of 3 shorter books in 1. Each book in the series has about 12 chapters, and is written by a different author. Since, I have read a few books from Mary Ellis, and a bunch by Beth Wiseman and enjoyed both authors thoroughly. So I was pretty sure that I would enjoy thi I love working with Book Look Bloggers to get books from my favourite authors to review! YAY for being able to claim reading as "work". So my latest read from Book Look Bloggers is called An Amish Miracle. It is actually a collection of 3 shorter books in 1. Each book in the series has about 12 chapters, and is written by a different author. Since, I have read a few books from Mary Ellis, and a bunch by Beth Wiseman and enjoyed both authors thoroughly. So I was pretty sure that I would enjoy this, and I was correct! Hope Bowman believes God is punishing her for giving up her firstborn son when she was a teenager. She’s hidden this past from her husband, who is thankful for their daughters but longs for a son. Hope prays desperately, but the son God sends isn’t a new pregnancy. It's the fifteen-year-old boy she gave away years ago. Hope struggles with the guilt and shame of what happened 15-16 years ago, when she gave away her first child. She longs to give her husband a son, but only keeps having daughters. Hope has kept the secret of her first pregnancy from her husband for all these years. And we follow her journey as she struggles to figure out what she should do, and the consequences of each action she takes. Having had 3 boys of my own, I could relate to some of Hope's struggles with having only one gender. I went through a time in my life where I felt like I was missing out on a little girl, but I realize this is God's plan for me, and it's a good one. This is a well written story, and a fun journey to take a long with Hope and her family. Widow Rosa Hostetler has one month to pay her delinquent taxes before the county auctions her farm. She’s prepared to sell whatever is necessary to pay the lien, but she isn’t willing to request money from the community's widow fund. She’s embarrassed and refuses to admit she needs help. Rosa depends on income from selling eggs, but when that income is threatened, only a miracle can help Rosa accept the kindness of a neighbor. We are first introduced to Rosa in Always in My Heart as Hope's friend. Rosa struggles with her life as a widow and the way her husband left her with lots of debt. The problem with Rosa is she doesn't like to ask for help when she needs it. I feel like Rosa sometimes. It's hard to bare your soul to others and let them know that things aren't going well. During the journey you start hoping with Rosa as things start to look up, and the twists and turns along the way draw you in, and you feel like you are struggling with her. Becky Byler is eighteen and obese. As she continues to grow, so does her despair. Having lost all hope, she considers taking her life, even though it goes against her beliefs. Standing before rushing water, unable to swim, Becky begs God for a miracle. Two months pass and Becky has miraculously lost over a hundred pounds. But does Becky like the person she has become? Could it be this weight loss isn’t at all the miracle she thinks it is? We watch Becky from the sidelines throughout the other books. Becky struggles with her weight, and has self-confidence issues since this is a rare problem in their community. Becky feels like she is unlovable because of her weight. She prays and begs God for a miracle to get thin! She gets it, and then starts realizing that her problems don't disappear they are just slightly different. I think we all have been there, when we get what we think we wanted all along, and realize that it's not what we thought it would be. Not all that glitters is gold, and we are left feeling disillusioned, and slightly question what we should do now. We feel like we are lost without a real idea of what we want. That is the journey we follow Becky on. When Becky starts learning what she really wants, and what really matters to her all along. 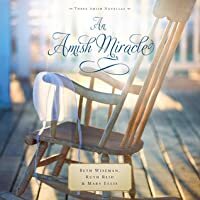 An Amish Miracle is a book compiled of three Amish Novellas by three different Authors. Included is Always In My Heart by Mary Ellis, Always His Providence by Ruth Reid and Always Beautiful by Beth Wisemen. It was not until I began the second story that I realized that all three Novellas take place in the same Amish community and all the character's intertwine. I absolutely loved that the authors worked together to do this and it added to the enjoyment of the stories. Once I started reading thes An Amish Miracle is a book compiled of three Amish Novellas by three different Authors. Included is Always In My Heart by Mary Ellis, Always His Providence by Ruth Reid and Always Beautiful by Beth Wisemen. It was not until I began the second story that I realized that all three Novellas take place in the same Amish community and all the character's intertwine. I absolutely loved that the authors worked together to do this and it added to the enjoyment of the stories. Once I started reading these beautifully written stories it was hard to stop. I love fiction books that portray a faith in God that is encouraging to read and deals with things that I can relate with and each one of these stories did exactly that. Another thing that each short story has in common is that each main character needs and is praying for a miracle of some sort. God provides for each of them in ways that was beyond (and better) than their thinking. In the first story Always In My Heart, Hope Bowman believes that she is being punished by God for giving up her son for adoption when she was 16 years old. She has kept a terrible secret from everyone including her husband. She finally realizes she must make peace with herself, God and her family. She tells her husband the truth of her past. Her husband has desperately wanted a son, even though God has blessed them with 4 daughters. He has a hard time dealing with it at first, but soon realizes that Hope was not to blame and was following her own fathers orders. Hope has always prayed for the son she gave up, but she is also praying that God would bless her and her husband with a boy of their own. Much to her surprise God answers her prayer when a 15 year old boy shows up on their doorstep...the son she gave up for adoption. This is a story of faith, of forgiveness and of healing. I enjoyed reading this novella so much and thought it was beautifully written. The only complaint I have is that it was too short. I felt that the end of the story was a little rushed and would of loved to have more details at the end. Always His Providence is about Rosa Hostetler who is a widow. Her husband died while saving his best friend Adam from a burning barn. Before he died he asked Adam to take care of Rosa. Rosa's late husband also left her in bad financial shape and she has one month to pay her delinquent taxes or she will lose her farm. She is very proud and refuses to ask for help from the community or from Adam. She depends on her income from selling eggs, but when an Englisher neighbor's dog begins to kill her chickens everything is put to the test. The miracle that God provides for Rosa is so completely unexpected. Such a great story about healing, learning to trust in God and not yourself or others and excepting love again. I was looking for a quick read while sitting in the car. This was perfect! Three novellas that intertwine, full of hope. Widow Rosa Hostetler has one month to pay her delinquent taxes before the county auctions her farm. She’s prepared to sell whatever is necessary to pay the lien, but she isn't willing to request money from the community’s widow fund. She’s embarrassed and refuses to admit she needs help. Rosa depends on income from selling eggs, but when that income is threatened, only a miracle can help Rosa accept the kindness of a neighbor. Hope Bowman believes God is punishing her for giving up her firstborn son when she was a teenager. She’s hidden this secret from her husband, who is thankful for their daughters but longs for a son. Hope prays desperately, but the son God sends her isn't a new baby but the fifteen-year-old boy she gave up years ago. In Always Beautiful, Wiseman portrays an all-too-common truth in America these days - too much good food. As good as Amish food is, I'm not surprised Becky ends up overweight and unhappy with herself. But I just about cried when I read she wanted to end her life - and was very relieved when she survived. I can speak from personal experience when I say I know exactly what's is like to be in her shoes, and I not only related to her as a character, but this story was a tool to remind me again that being beautiful on the outside is not important - it's what's inside that counts. In Always In His Providence, Reid shows us that community is everything. So is love, if you'll only let God work through others to bless your life. When Rosa's husband dies in a fire trying to save his best friend, life as she knows it is over. As the surviving man in that fire, Adam feel responsible for his best friend's wife Rosa. So when Rosa is going to loose the farm her husband worked so hard for, Adam must find the courage to tell her about his feelings before it's too late. In Always in My Heart, Ellis writes a heart-wrenching and moving story of a family affected by the past. I can only imagine telling my husband that I have a baby he doesn't know about. The characters never made me feeling that I had to choose sides, and I really enjoyed seeing relationships being repaired and restored, and lives being forever altered by ONE action. I did appreciate how Hope's husband reacted to the news...guess you'll have to pick up a copy and find out. I love it when three stories are connected… it’s like one long story. Always In My Heart is the first novella and is by Mary Ellis… this story is about teenage adoption and it is such a wonderful story; I cried along with Hope as she shared her feelings about losing her son and believing that God was punishing her. Hope Bowman has lived with a mistake for more than fifteen years… it wasn’t difficult to feel her pain, especially her feeling that she’s being punished because of her past. Although her parents made the choice – so it was really their mistake – and she wasn’t given a choice, she has always felt responsible for giving up her child. Honestly, I could NOT stop until I had read the entire story. Always in My Heart is a GREAT Story! When you begin reading, you will begin wondering if things will ever work out, and if so, how it could all work out for everyone; I don’t want to give anything away, so I won’t say anymore – you can read it for yourself, but be assured that Mary Ellis does a superb job of bringing it all together in a fabulous story! Always His Providence is the second novella and is by Ruth Reid. This story is about Hope’s best friend Rosa, who has a little problem with pride… not something unheard of – even among the Amish. Although she is committed to being Amish, Rosa’s pride may just cause her to lose her farm! If you follow my blog, you’ve already figured out that I’m thinking “shame on you, Rosa. Just ask for help!” Poor thing, she’s wallowing in fear, but she’s determined that she’s going to go it alone! I didn’t think the story of a lonely widow would appeal to me much but it really did. It was amazing. First one thing, then another, comes along to derail Rosa’s plans to save her farm. I won’t say any more, so that I don’t run all the wonderful surprises you’ll find in this amazing story! If you enjoy reading a story with lots of surprises, you’ll love Always His Providence! Always Beautiful is the third (and last) novella, and is by Beth Wiseman. We’ve been reading about Becky Byler during the previous stories, but this story is just about Becky! After wishing she could lose weight for much of her life, she finally loses all the extra pounds she desires to lose… but does it make her happy? Well, she thinks it does – at first. I would never have imagined that Amish girls would have to deal with weight issues. Who could have guessed? And even if they did, would pride or self-image really matter to them? After all, wouldn’t they care less about the outward appearance and more about good character qualities? But… maybe even young Amish men and women get caught up in appearance. Beth Wiseman writes a beautiful story. I found myself feeling Becky’s pain, and yet, I could feel the pain of other characters as well and it was enlightening and heart-breaking as well. This story shows us that sometimes… even if God’s answer is yes, it’s not always the best thing for us. Kind of book I read when I need read something sweet! In Always Beautiful, Becky Byler has always been fat, and she painfully recalls being teased by her peers. She stands in front of a rushing river, ready to dive in to take her own life, when, she suddenly prays to God for a miracle – she wants to be thin and beautiful. Her wish is granted, but, Becky’s life changes. Matt, a good-looking, well-liked young man in her community asks her out! Becky has admired Matt from afar, but, in the past, she’s kept to herself because she doesn’t want to face r In Always Beautiful, Becky Byler has always been fat, and she painfully recalls being teased by her peers. She stands in front of a rushing river, ready to dive in to take her own life, when, she suddenly prays to God for a miracle – she wants to be thin and beautiful. Her wish is granted, but, Becky’s life changes. Matt, a good-looking, well-liked young man in her community asks her out! Becky has admired Matt from afar, but, in the past, she’s kept to herself because she doesn’t want to face ridicule about her weight. However, Becky’s best friend, Elam, is stunned about how much she’s changed. Why is she seeing Matt – after all Becky and Elam have always been best friends, and their friendship could easily turn into something more. Out of the three stories in this collection, I enjoyed this one the most. I think it’s because it dealt with an overweight main character – I seldom see this in Christian fiction. The second novella, Always His Providence, is about Rosa – a barren Amish widow woman. She’s desperately trying to make more money to pay the back taxes on her land – her deceased husband did not keep up with the tax payments and now Rosa could lose her farm. Adam, her next door neighbor and her husband’s best friend, vowed that he’d take care of Rosa after her husband died. Rosa’s husband, Uriah, saved Adam’s life and Adam feels indebted to Uriah’s widow, Rosa. I enjoyed this story because I loved reading about the attraction between Adam and Rosa. Adam is scarred by the fire that took Uriah’s life. I also loved reading about Rosa’s chickens! Rosa sells eggs and the chickens’ egg-laying habits provide a unique twist to the story. The first story, Always in My Heart, is about Hope. She’s blessed with several daughters, however, she wonders if her traumatic past is causing her to be son-less. Hope and her husband are almost desperate to have a male offspring, but, Hope keeps giving birth to girls. She thinks about that dark, traumatic night, and the decision she was forced to make afterwards. She’s never shared her experience with her husband, and she struggles, wondering what her husband would say if he knew. She also wonders if there’s anything she can do to ensure she has a male child in the future. This story takes on an interesting twist as Hope receives a totally unexpected answer to her prayer. I liked this story, for the most part. Hope and her husband receive a totally unexpected interesting visitor which provides the story with a unique and interesting twist. Mary Ellis starts the series with “Always In My Heart”. Hope Bowman is dealing with the guilt of giving up her first-born son and keeping the truth from her husband. She has four daughters but longs to give her husband a son. She feels God will not answer her prayers because He is punishing her for not telling her husband or forgiving her father for the role he played. She prays for a son, but the son she receives is not a newborn. “Always His Providence” by Ruth Reid is the next story in the s Mary Ellis starts the series with “Always In My Heart”. Hope Bowman is dealing with the guilt of giving up her first-born son and keeping the truth from her husband. She has four daughters but longs to give her husband a son. She feels God will not answer her prayers because He is punishing her for not telling her husband or forgiving her father for the role he played. She prays for a son, but the son she receives is not a newborn. “Always His Providence” by Ruth Reid is the next story in the series. In this story Rosa Hostetler’s husband, Uriah, gave his life in a barn fire to save their neighbor and long-time friend Adam Bontrager. Rosa was left with delinquent taxes and only one month to find the money to pay them. She depends on the money from selling her eggs to support herself, but her English neighbor’s dog starts killing her chickens endangering her income. She is ashamed to ask the Amish community to help her through the widow’s fund. However when Adam finds out what is going on, he tries to help her save her farm and assures her that God will provide. “Always Beautiful” by Beth Wiseman follows the first two stories. Becky Byler is eighteen and obese. She tries to lose weight, but as she continues to gain, people make fun of her and talk about her behind her back. She becomes so depressed that she considers taking her own life even though she knows it goes against God’s teaching. As she is contemplating taking her life she prays and asks God for a miracle. Over the next few months she begins to lose weight and suddenly young men are interested in her. This is a collection of three short stories by three of my favorite Amish authors in one book. It is a book that is filled with inspiration, compassion, forgiveness and love. Although the stories can easily be read independent of each other they do follow a series with the characters following through to the next story. Each story presents a situation that any one of us could face. The authors weave a believable plot that results in a solution involving their faith. If you love reading inspirational stories I would highly recommend this book. Book Review: I really love these kind of books. They go by so fast. I really like visiting with all the new characters and as the stories progress you get to know these characters more and more. I really liked the start of this book with Hope. It set a wonderful tone for all the other stories. I could to wait to keep going. I look forward to many more of these stories. The over all tone of this series was so timely for me as a Christian because it is a season of trials and testing. It was especially meaningful to me. Here is another great Amish novel called The Amish Miracle. It's a novella with 3 stories in one book. The authors who wrote this book are Beth Wiseman, Ruth Reid, and Mary Ellis. This was a perfect book to read during my recovery from surgery. Each book didn't take me long to read. I finished the 2nd book in one day. I liked that we saw the same characters throughout the 3 books but a different main family/character that the author focused on. It felt like I got to know them pretty well. The fi Here is another great Amish novel called The Amish Miracle. It's a novella with 3 stories in one book. The authors who wrote this book are Beth Wiseman, Ruth Reid, and Mary Ellis. The first story was from Mary Ellis and was called Always in My Heart. It is the first time that I read a book from this author and I will definitely read more. It's about a mom named Hope who had to give her son up for adoption after he was born because she got raped at 16 years old. She kept this secret for many years, even from her husband. She regretted her decision about giving up her son. She does eventually find peace and her miracle but you'll need to read this for yourself. Second book is called Always His Provision by Ruth Reid, another new author to me. This story is about Rosa who is about to lose her farm due to unpaid back taxes. She lost her husband two years ago and due to cows being sick and having to destroy the heard, her late husband never paid the taxes, but Rosa didn't know it. She doesn't want to share her need with her community and so relies on her egg money to hopefully cover the cost. But that won't work. A miracle is needed for sure. Will she get it? Read and find out. Last book is by a well-know author, Beth Wiseman. The story is called Always Beautiful. Becky is a lovely young woman of 18 yrs of age but overweight. People whisper behind her back about how big she is. She thinks she never will find love because of her weight. She then goes on a strict diet to lose that weight. Will she be happy and find true love? If you are looking for a fun, interesting read, this book is it. 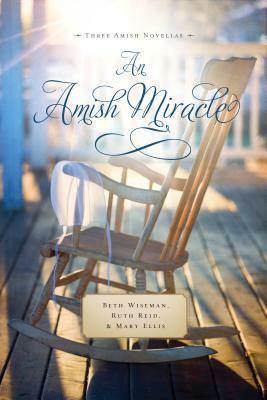 An Amish Miracle is a collection of three Amish novellas by Beth Wiseman, Ruth Reid, and Mary Ellis. I really enjoyed these stories, and I loved the length of them all. I liked how all the stories connected so you could still hear about the other characters. Always in My Heart by Mary Ellis follows the story of Hope Bowman. When she has her fourth daughter, she becomes convinced that God is punishing her for giving up her son at sixteen. Hope doesn't know if she can handle the pain of it all anym An Amish Miracle is a collection of three Amish novellas by Beth Wiseman, Ruth Reid, and Mary Ellis. I really enjoyed these stories, and I loved the length of them all. I liked how all the stories connected so you could still hear about the other characters. Always in My Heart by Mary Ellis follows the story of Hope Bowman. When she has her fourth daughter, she becomes convinced that God is punishing her for giving up her son at sixteen. Hope doesn't know if she can handle the pain of it all anymore. She decides to finally tell her husband the truth, and when she does amazing things begin to happen. I really enjoyed this story of forgiveness and hope. It was filled with so much raw emotion for everyone involved. But the ending was too abrupt for me. I really thought there would be another chapter! Always His Providence by Ruth Reid is about Ruth Hostetler, a widower for the last two years, who is facing the loss of her farm. Determined to keep her home, Ruth does everything she can to raise the money without telling anyone, but when all her efforts start crumbling around her Ruth is left with only one option. Moving. I think this novella is my favorite out of the three. Ruth is such a believable character! Sometimes it can be so easy to rely on ourselves more than God, and this story was a great reminder to always trust in the One who never fails. Always Beautiful by Beth Wiseman tells the story of Becky Byler. Becky has always struggled with her weight, but all that changed one day when she asked God for a miracle. Once she started losing weight, Becky began to change but not for the better. Is being thin really that important? Or should she worry more about who she is on the inside? I enjoyed the suspense of which guy Becky would choose, but this story was my least favorite. Endearing. Loving. Family. This is one of the best Amish fiction stories I have read. I was invested in these characters from the start. Even Greta and baby Faith pulled at my heartstrings. Ms. Ellis is to be commended for writing with detail, flow and creativity. Her story pulled me in and did not leave me hanging. I loved every word! The story of Rose and Adam felt real to me. Nothing felt contrived. I like a story where the main characters have to deal with their issues before they can move on with their lives. Ms. Reid delivered such a story here. I also enjoyed the tie-in with Hope and Stephen and other characters from Always in My Heart by Mary Ellis. While each novella can be read as stand-alone stories, I found them as wonderful compliments to each other. I read this as part of An Amish Miracle compilation. Of course I loved reading snippets about the previous characters introduced in the other two novellas. And I was happy to read about Becky in this novella. The flow of the novella was good. Becky, Elam, and Matt were all fine characters. I think I didn't relate to them as well because they were much younger characters. I'm more than twice their age (eek!) and Becky's issues with vanity at first didn't sit well with me. Then I realized just because I was reading about Amish characters didn't mean they were perfect. This novella reminded me Amish people struggle with vanity and finding their place within their community. Three women put their trust in God for a miracle. Hope and her husband hope for a son, each daughter is a reminder of the secret she has hidden from her husband. Rosa's husband died in a fire saving his best friend, Adam. Now Rosa is in danger of losing her farm. Will she be able to rely on her friends, and accept their help when they offer it? Becky Byler has always struggled with her weight, so when she prays to God for a miracle she believes that He has answered when the weight starts dropping Three women put their trust in God for a miracle. Becky Byler has always struggled with her weight, so when she prays to God for a miracle she believes that He has answered when the weight starts dropping off, but will she lose the friend that she holds dear in the process? Three novellas tell the tales of three Amish women. I enjoyed each of the stories, as they intertwined and separated, telling 3 very different stories. I felt a bit like some of the stories could have been longer, and that some of them were a bit of a tight fit into the novella format, especially the last story. The characters were strong of character and well written, I really liked how Stephen always stood by his wife, and Adam selflessly cared for Rosa. My also heart went out to Becky as she struggled to find acceptance not only from those around her, but from herself. Overall this was an enjoyable collection, great for fans of Amish fiction who are looking for a little more than just the typical boy-meets-girl story. This is a delightful Amish novella collection by Mary Ellis, Ruth Reid, and Beth Wiseman. In Always in My Heart by Mary Ellis, Hope is given a second chance with the son she was forced to give up for adoption. God sends this young man back into her life at the age of fifteen. Will James want to stay with his birth mother and get to know his family or will Hope's heart be broken once again? Ruth Reid shares the story of a young, childless widow in Always His Providence, Rosa Hostetler is in desp This is a delightful Amish novella collection by Mary Ellis, Ruth Reid, and Beth Wiseman. In Always in My Heart by Mary Ellis, Hope is given a second chance with the son she was forced to give up for adoption. God sends this young man back into her life at the age of fifteen. Will James want to stay with his birth mother and get to know his family or will Hope's heart be broken once again? Ruth Reid shares the story of a young, childless widow in Always His Providence, Rosa Hostetler is in desperate need of funds to save her home but she is too proud to ask for help from the Amish community widow's fund. The man her husband died to save has promised to look after her and he wants to help her but she does not trust him enough to share her needs. Will she let go of her pride and open her heart? Becky Byler struggles with her weight and is the laughing stock of the Amish community in Always Beautiful. Becky is pushed to the point of suicide because of her low self-esteem and asks God for a miracle. He grants it as she loses weight and has not one, but two suitors. Will she discover what both young suitors already know? Will she learn that inner beauty matters far more than outer appearance? Read the three novellas to find these answers and more. The authors do a beautiful job of portraying forgiveness, love, inner beauty and sacrifice. I love the way that the three novellas blend together and have characters who share in each others' lives. I am quite curious to know if there will be a sequel to the three novellas as I would love to know what comes next for Hope, Becky and Rosa. I really enjoyed these short interwoven novellas! Hope's was a unique story because the Amish don't usually give their children up for adoption. She went through a traumatic experience and hadn't been honest with her husband about her past, nor had really forgiven where she needed to. I really admired Hope for facing her fears. It was interesting to see how she dealt with the shock of her son showing up and what that would mean for her family and where they would go from there. The son's perspec I really enjoyed these short interwoven novellas! Hope's was a unique story because the Amish don't usually give their children up for adoption. She went through a traumatic experience and hadn't been honest with her husband about her past, nor had really forgiven where she needed to. I really admired Hope for facing her fears. It was interesting to see how she dealt with the shock of her son showing up and what that would mean for her family and where they would go from there. The son's perspective was interesting, too, because he tracked her down and was surprised by a few things! Hope's friend, Rosa, was incredibly stubborn and I found myself frustrated with her in the second story. I liked the theme of trusting God no matter the circumstances and the insight into training horses, too! The last story was my favorite because it deals with self-esteem, an issue most women, myself included, struggle with. I felt for Becky, but I became frustrated with her near the end because of her attitude. I can relate to her love of food and how hard it is to give up a lot of your favorites. I wasn't sure which of the two men in the story Becky would end up with or if any at all! I liked how these women got their miracles, just maybe not in the way they would have expected. They were well-written and challenged me to think how I would react in those circumstances. I highly recommend this, especially if you like Amish fiction. I received a copy of this book free from Booksneeze in exchange for an honest review. The thing I love about books will multiple fiction stories as I’ve experienced before is that each stories ties to another and the characters run through all the books. In “Always in My Heart”, Hope faces something horrific as a teenager, definitely something that a person would never want to go through? But her loving husband doesn’t see it the way her overbearing father does and finds a place in his heart to accept what happened and help her find that son. Ruth Reid continues the story Loved it. Ruth Reid continues the story of Hope’s best friend Rosa who is widowed so young in life and has no children to help carry on the farm. Ruth struggles to save her farm and pay the taxes. Rosa’s neighbour is determined to buy the farm and refuses to accept responsibility for his own part in her financial troubles but a neighbour made a promise to her husband and is not willing to give up. Beth Wiseman is truly an amazing writer, I have always love her stories and it’s not the first multiple author story that she has been a part of. In “Always Beautiful”, it is rare that you hear of Amish that are “obese”, I am not stereotyping anyone but it is often in life we ask “how can they eat so much butter, flour and eggs and stay so thin?” the answer usually is “they work harder than most”. It’s nice to attach the North American struggles of obesity within her story and that she was loved no matter how she looked.